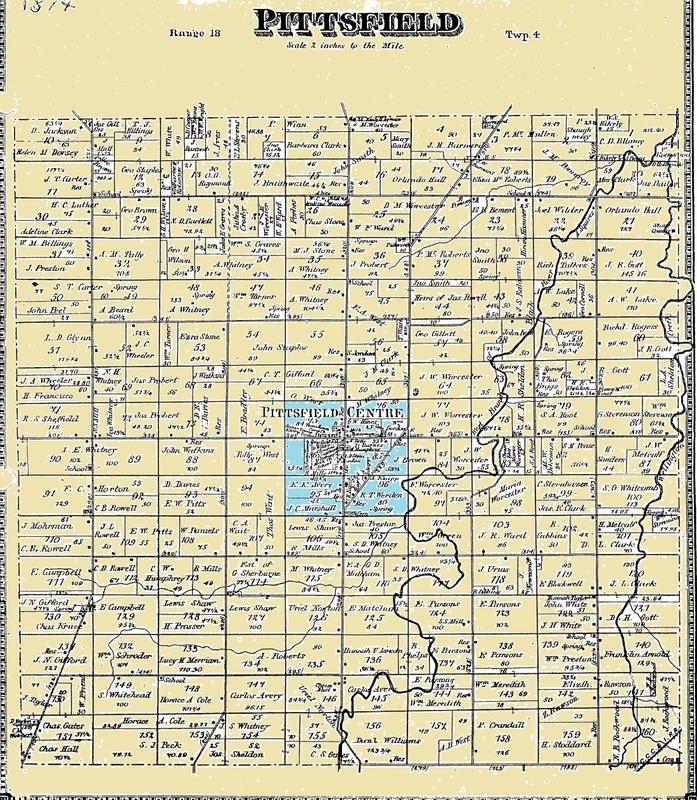 Pittsfield Township is the only Township of its name in the state of Ohio. Originally part of the Connecticut Western Reserve. The area saw its first settlers before 1813 but they did not stay permanently. The area saw growth in 1821 when Milton Whitney, one of the larger landowners in the area arranged for settlers to move in. In 1831, Pittsfield Township separated from Wellington Township and the next chapter in our history was started. (Fact: Pittsfield Township gets its name from Pittsfield, Massachusetts, the original home of Milton Whitney). The link above, is a downloadable file on the History of the Elected Officials . Our town was completely destroyed by a tornado in 1965. The original Pittsfiled Township Town Hall destroyed by the Palm Sunday Tornado in 1965. The double tornado that started in Indiana and came across Ohio, hitting Pittsfield around midnight April 11th, 1965. What was left of the town center. Make sure to look at the ' WHO WE ARE' video below . Click on large photo above to start slideshow. On April 11, 1965, at approximately 11:08 P.M. a tornado swept through Pittsfield, Ohio destroying both the Congregational and Methodist Churches. Construction was started on the new church (left) shortly after the tornado, October 1965 and completed with its first Sermon June 12, 1966 by Pastor Elmer C Novak. The church is now known as Pittsfield Community Church. It took the place of both the Methodist and Congregational Churches that stood at the center of Pittsfield Twp. prior to the 1965 tornado. after the tornado, the Bell. Civil War Monument listed as a Lorain County Landmark and dedicated to those who fought to preserve this Great Union. Current Map: Township Hall and Town Center intersection of State Routes 58 & 303. (Photos) Copyright © 2014 Pittsfield Township Historical Society. All rights reserved.